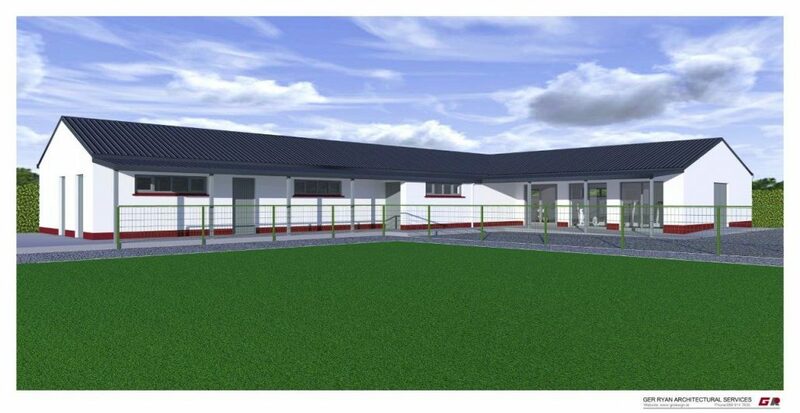 Kilcavan GAA have released designs for their new state-of-the-art indoor training facility. Kilcavan GAA, located in Mountmellick parish, has continued to grow consistently over the past number of years strongly supported by Clonaghadoo National School. In 2014, in association with Laois GAA, Kilcavan GAA commenced a five-year plan to improve their clubs facilitates in order to support the clubs growing numbers. To date they have successful added a new illuminated training pitch, ball stops, car park, security fencing, shower rooms, outdoor toilet’s, Kitchen/meeting room and a 600m fully illuminated jogging/walking track. As part of the final stage of their five-year plan, Kilcavan GAA are pleased to announce that works are due to commence in the coming weeks on its new indoor training facility. The development will more than double the size of the existing building on the site, with a total additional area of almost 200 square metres being constructed. 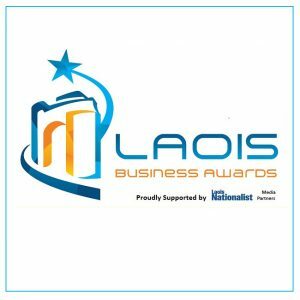 The Planning Permission, Fire Safety Certificate and Disability Access Certificate for the development was granted by Laois County Council in September 2018, which paved the way for the construction to commence. A competitive tendering process was carried out by AOCA Engineering Consultants for the construction of the new facility and the appointment of the successful tenderer, JS Dooley Contracting Ltd., was made last month. The central focus of the development will be a new 136 square metre multipurpose fitness room, which looks as though it could rival any inter-county training facility when completed. Kilcavan GAA have also recently carried out a colouring competition in conjunction with Clonaghadoo National School. The two winning pupils will complete the turning of the sod for the new facility next week. The club wished to thank the following people who have helped to make this development possible; Cllr David Goodwin, Laois County Council, AOCA Engineering Consultants, Ger Ryan Architectural Services in Mountmellick, O’Connell Brothers plant hire and JS Dooley Contracting Ltd. 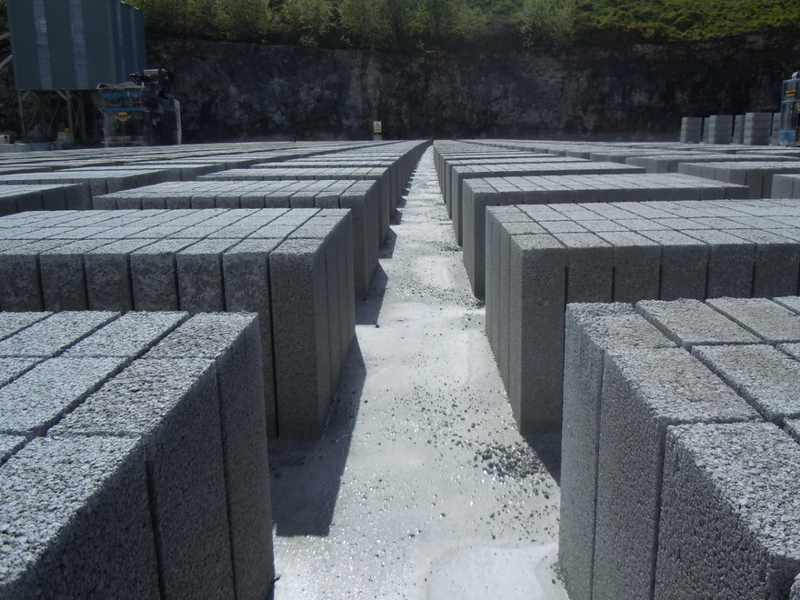 This is a welcome development in the regulation of the concrete industry after many years of heartache for homeowners and business owners affected with substandard blocks. This new committee will forge the way forward and new standards will ensure that the Pyrite and Mica problem in block work in Ireland never repeats itself. 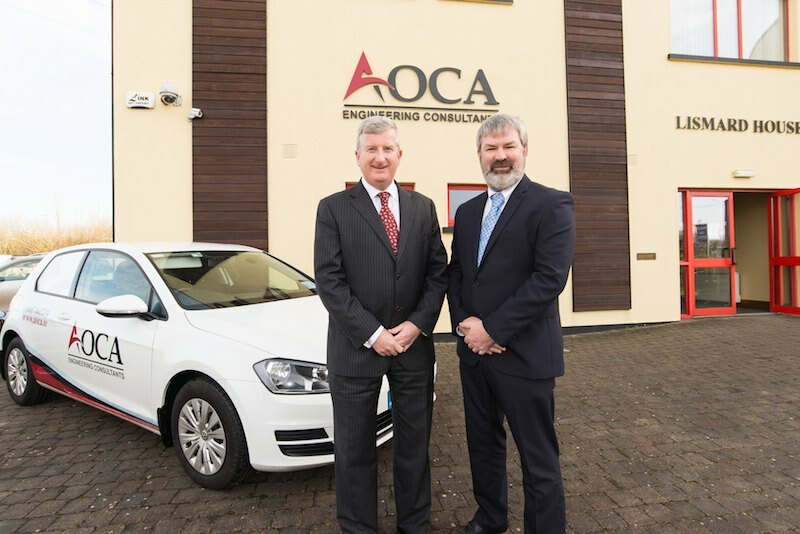 Aidan O’Connell & Associates Ltd has entered a new chapter as AOCA rebranding earlier this year and now entered the UK market. This new venture has taken months to set-up, with a lot of research into the viability of the expansion in the current Brexit climate. AOCA (UK) Ltd was formed in February 2017 and work has commenced on a book of business across the United Kingdom from London to Manchester to Cornwall to Leeds. Our head office in the UK is based in Manchester. Initially we will be dealing with a large book of business involving Latent Defect damage to all property types from single units to Multi Unit residential and commercial developments. Coupled to this is our private client base in the UK which we forecast to grow considerably. 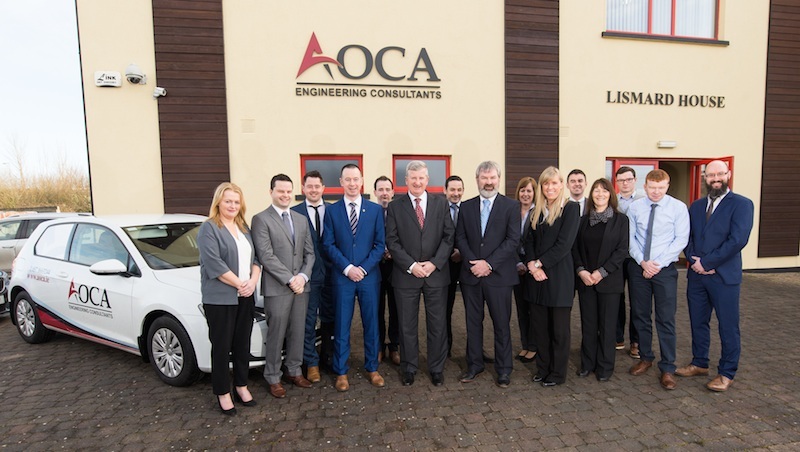 An acorn which has grown is the metaphor which Aidan O’Connell employs to describe the development of his Engineering and Project Management consultancy business, since its inception in Portlaoise 21 years ago. The company, now re-branded as AOCA and based at Lismard House on the Timahoe Road, has established itself as one of the leading Consulting Engineering practices in the country. Its growth and success is reflected in the company’s re-branding as AOCA. This followed a four-month consultation period, and an in-house marketing exercise, conducted by Business Manager Lisa Morrissey. “The rationale behind the re-branding was the creation of a title which would be more inclusive of the people working with us,” explains Aidan. Indicative of this is the fact that AOCA opened a Dublin office in 2014 at the Centrepoint Business Park, Oak Drive. Aidan estimates it is worth between €20 and €30 million. AOCA’s remit in the UK will include structural defects in buildings, fire, explosions and a whole gamut of other insurance related issues. 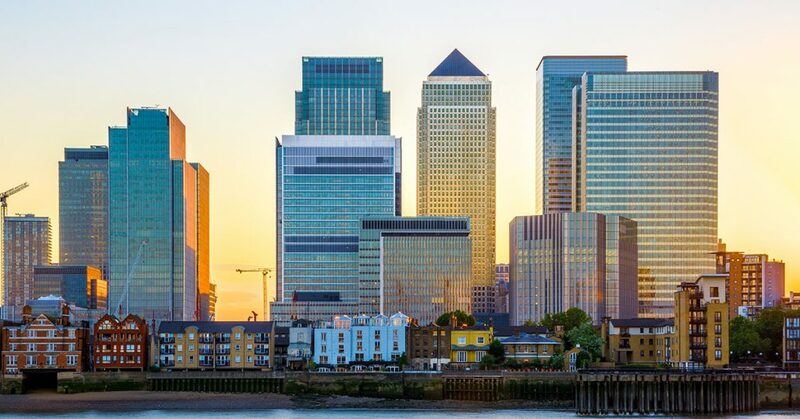 AOCA is presently setting up its infrastructure in the UK, and they expect to open six regional offices to deal with the huge volume of business that comes in this market. It’s an exciting and major new chapter for the business which Aidan established in 1996, with a mere three people. Now there are 15 staff based in Portlaoise and 8 in Dublin. Domestically, AOCA is performing very well. It has recently undertaken two large primary care centres in Balbriggan & Celbridge for private companies and also an equine facility in Lucan for South Dublin County Council. It also does the largest volume of pyrite remedial work in the country. This portfolio complements all the other work that the company undertakes, including a range of one off jobs which can include anything from private houses to hotels and warehouses. Aidan notes that the demand for them to move into new areas is always present, and recently they have initiated a motor accident investigation section. Returning to the acorn metaphor, Aidan is justifiably proud that the business has grown two and a half times since 2007. AOCA undertakes the planning, engineering and construction management of numerous one off houses, extensions and more in the local area.